Traditional eyeliners can be tough for some to master but can make the biggest difference in your appearance giving you that fresher, eyes-wide-open look. Good lining technique can even correct the shape of your eyes to make their overall esthetic more pleasing. We don’t even have to mention how much better it can make your lash line! It can even make lashes appear thicker when applied correctly. For those fair-haired gals that wake up with a rather blank canvas thanks to light lashes and brows, PMU liner and brows are pretty life changing–just ask Dr. Hughes about her own experience! Even if you’re good at lining, it can take time in your morning routine that you may not have to spare. Then there’s those of us who can’t tolerate eyeliner thanks to seasonal allergies or sensitivities to traditional cosmetics. Don’t forget those situations where you may be sweaty, crying or swimming–that eyeliner that’s so crucial to some of us is a waste if we’re talking traditional cosmetics. Dr. Hughes and PMU liner artist, Hannah Barker, are trained in a variety of liner techniques including classic liners, lash enhancement procedures, and designer liners; although it’s always her suggestion, as with her Botox and Juvederm philosophy, that less is more when it comes to PMU. You can easily add to your makeup on special occasions when you’re looking for a more dramatic look as PMU should be natural enhancements that won’t lock you in to wearing more makeup than what you’re used to. PMU should make your life easier not more difficult! Dr. Hughes includes one touch-up appointment free of charge. The touch-up must be completed within 8 weeks of the initial service (around week 6 is best) or else there will be an additional fee for the touch-up appointment. Any uneven healing or perfecting of the liner can be accomplished in the included follow-up session. Any further touch-ups requested by the patient after the included touch-up session will be at an additional cost to the patient. You should have realistic expectations as to the maintenance of your PMU–it will fade and the shade will change as your body breaks down the ink, therefore to think that this is a one and done type of procedure is not realistic. To keep your liner looking it’s best, you will need to have it redone every 3-5 years. No matter the technique employed, much of the result depends on your own healing process, how your body metabolizes the pigment, and sometimes most importantly, your after-care. We do not perform initial PMU cases during our regular patient hours as she wants to concentrate on only you with these procedures. Because of this, we have a limited schedule for PMU procedures and it fills quickly. Knowing there is a waiting list for some days, we require a $100 deposit when scheduling these appointments to prevent our schedule from filling with those patients who aren’t sure of the procedure yet and may no-show after having taken an appointment that another patient would have gladly filled. 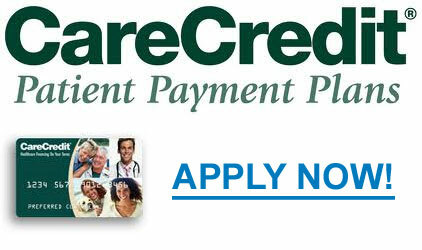 Your deposit will be applied toward your PMU procedure when the procedure is complete.